Solange returned home to Houston for a performance at the Super Bowl LIVE event on Thursday night. During her 45-minute set, Solange ran through tracks from 2016's A Seat at the Table and returned to her second studio album, Sol-Angel and the Hadley St. Dreams, to perform "T.O.N.Y." She also brought out Houston rapper, and original member of the Screwed Up Click, Yungstar to perform "Knockin' Picture Off Da Wall." Towards the end of the show, Solange offered a message to the audience. "I just wanna send some love to my people, my immigrants, my Mexican brothers and sisters, my Muslim brothers and sisters, and say that you belong," she said. 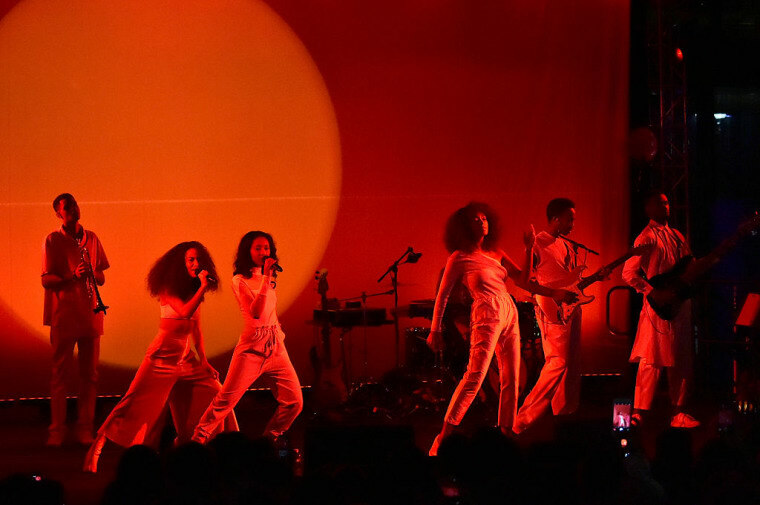 See clips from Solange's Houston performance below. Y'all, @solangeknowles did T.O.N.Y. last night.